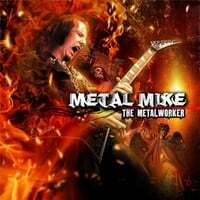 Welcome To The World Of Metal Mike | Heavy Metal | Halford | Metal Mike | Guitar Hero | Shred | | Store : WELCOME TO OUR STORE - WHERE METAL IS KING! WELCOME TO OUR STORE - WHERE METAL IS KING! There are no additional shipping charges added to your order. We ship all orders within 24 hours using United States Postal Service. We use First Class & Priority Mail for domestic orders and Air Mail for international orders. We will confirm your order and will additionally send you a shipment confirmation e-mail. All prices are in US dollars. If you are interested in purchasing a larger quantity of any of our items you can get in touch with us via the link below. Thanks for visiting & your support! Questions? Please get in touch by using the Contact form. We reply promptly.